You've probably heard the expression, “The near side of the Moon.” Read on to learn what this means. The full Moon nearly always displays the same features to us. This is essentially because the time it takes for the Moon to rotate once on its axis is identical to the time it takes for it to revolve once around the Earth. If the Moon did not rotate, then we'd see one of its hemispheres when it was on one part of its orbit, and we'd see its opposite hemisphere when the Moon moved to the other side of its orbit. Imagine a wary lion-tamer who keeps his face to the lion even as he steps all around the circular cage! This is a special circumstance particular to the Moon, as we see both hemispheres of all the other bodies in the solar system as they rotate. However, every moon in the solar system has this kind of captured rotation rate. It's caused by the strong gravity of its parent planet tugging and tugging on it for billions of years, slowing the spin, until it's captured and locked into the same period as its orbit. Because of a phenomenon called libration, an apparent slight wobble resulting from the Moon's elliptical orbit, we can see about 59 percent of its surface over time. What Lunar Features Can You See? Most visible to the naked eye are the ancient lava flows that filled some of the Moon's older craters; they are enormous, smooth, dark, frozen seas, also known as maria. The lava came from the Moon's interior after large meteors hit and cracked its surface. Today, however, the Moon is cold and dead inside. Amazing! 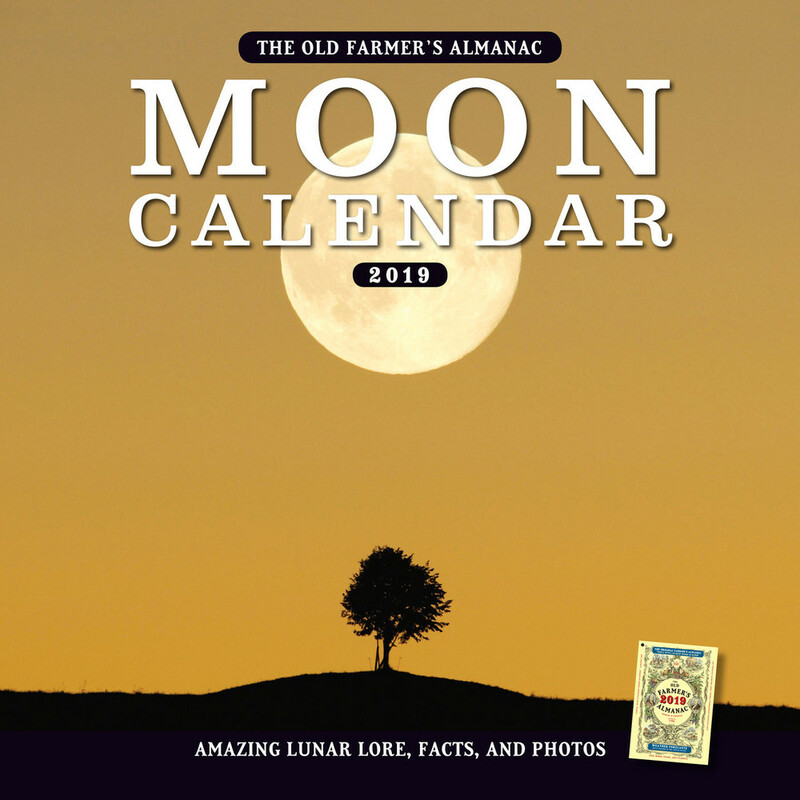 Farmers almanac has given me information I am looking for! For my own personal reasons, thank you!